The Barefoot Contessa Does It Again…. 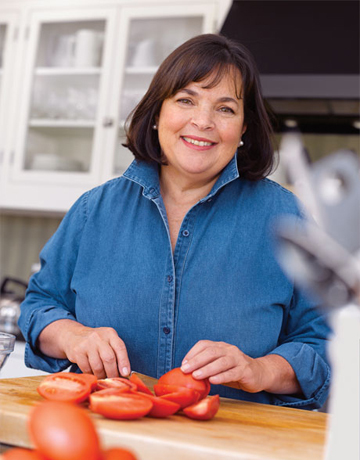 It’s no secret that I love me some Ina Garten. The woman has a beautiful house in East Hampton, fabulous friends with amazing professions at her disposal (florists, bakers, photographers, LIGHTING SPECIALISTS? !, etc. 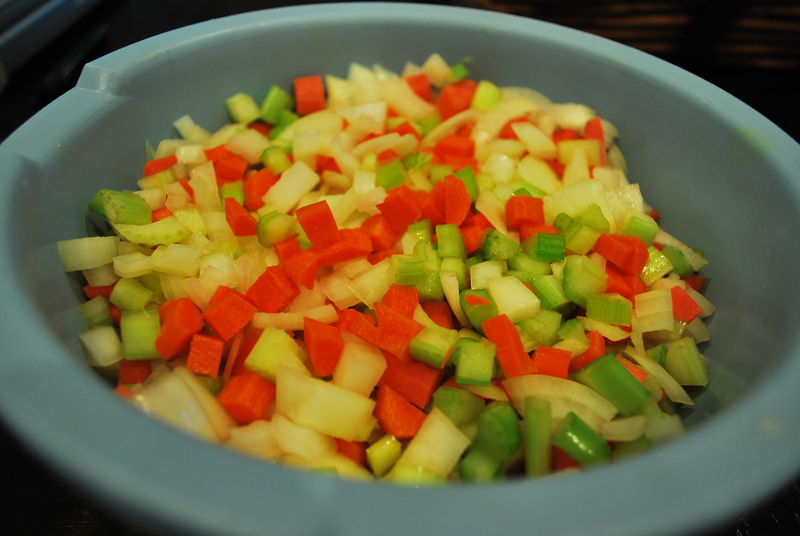 ), and when it comes down to it, she has delicious & reliable recipes. 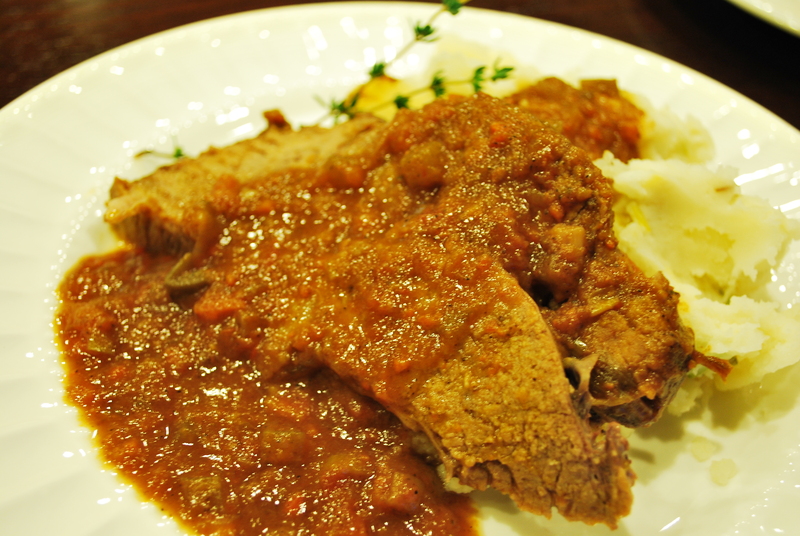 Days before our trip we happened to catch an older episode of the Barefoot Contessa’s Back to Basics show on the Food Network and saw the perfect dish– Company Pot Roast. It looked super hearty and comforting—and with one pot, it was ideal! Since it was our first hand at the recipe, we stuck very true to the script. The end results? Quite Delish in our opinion! The additional step of pureeing half of the sauce and then returning it back to the pot seemed a bit laborious at first. However, after trying the dish, the consistency that this step gave is a MUST! That Ina—she sure does know her stuff! Some of her estimates seemed a bit off for us. 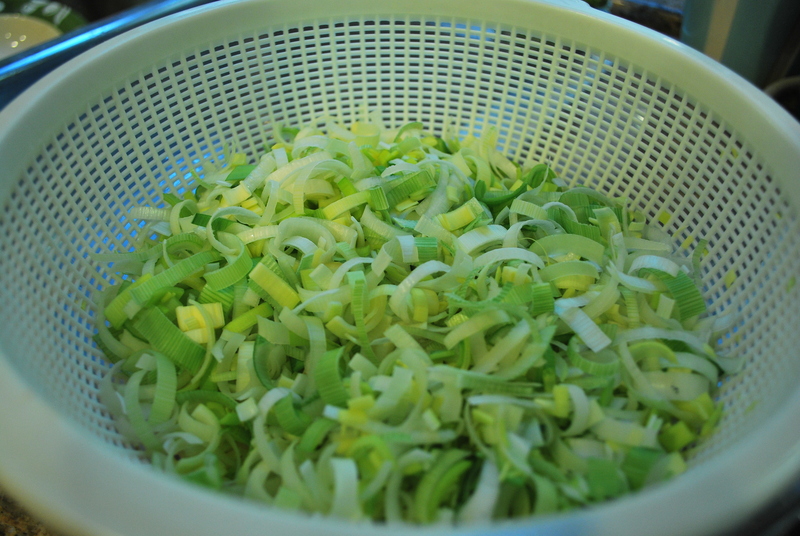 For instance, the recipe calls for 2 cups of celery, which she estimated to be 4 stalks. For me, it was 6 stalks. The recipe could also easily feed 10 adults, let alone the 8 it quoted. Preheat the oven to 325 degrees F. Pat the beef dry with a paper towel. Season the roast all over with 1 tablespoon salt and 1 1/2 teaspoons pepper. Dredge the whole roast in flour, including the ends. In a large Dutch oven, heat 2 tablespoons olive oil over medium heat. Add the roast and sear for 4 to 5 minutes, until nicely browned. Turn and sear the other side and then turn and sear the ends. This should take 4 to 5 minutes for each side. Remove the roast to a large plate. Next Post A Whole Lot of Thanks….. yay!!! one dish i got to try and boy-oh-boy, it hit the spot especially after an hour commute from work and another half hour to the sis’ house from the kids’ school. comfort food is right! ina does have a fabulous life, doesn’t she? ina, if you are reading this, how about inviting some ordinary, talentless fans to your company dinners? i.e., moi? ?